870,000 Toyotas Recalled Due to "Spider-Related Problem"
Did we stutter? Almost one million Toyotas. Recalled. Because spiders. In summary: Spider webs can cause your airbags to deploy unnecessarily. But wait, there's more! 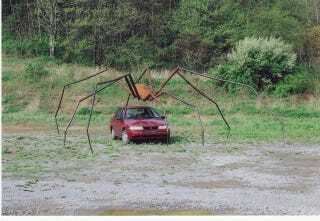 Please note: this is not the first time a car manufacturer has recalled vehicles due to spiders.